The SSU and those in favour of the U-Pass have thrown their fellow students under the bus. Voting for the U-Pass referendum came to a close last week. 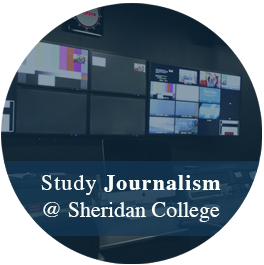 On Monday it was announced that Sheridan students voted in favour of the referendum. Starting in September all full-time students will be required to pay a $197.15 ancillary fee per semester with no choice of an opt-out. While there are obviously upsides to the new U-Pass, I don’t think a vote ever should have happened. For those who take the bus to school every day, this new U-Pass is a big win for the wallets. To take the bus to and from school in Oakville, Mississauga or Brampton is $6 per day. If you’re paying $197.15, the pass pays for itself in 33 days. That doesn’t even account for use outside of travel to and from school. The U-Pass can be used at any time, even outside of school hours, during the fall and winter semesters. There will also be a direct bus between the Davis and Trafalgar campuses, almost mimicking the current shuttle bus system. Even though students who took the shuttle were only paying a paltry $13.50 per term, they have to feel a sense of relief that there will be a similar system in place after the changes. But let’s not mince words, the rest of the students on campus were let down. Most of the outrage from students stems from the fact that there is no way to opt-out of the ancillary fee. It’s no shock that students struggle with money, and lumping nearly $400 a year onto their fees just creates an ever deeper hole for them to climb out of. This will affect incoming students the most because they didn’t even have a voice in this vote, and will still be forced to pay the fee with no opt-out available. Another group that is stuck in the crosshairs of the referendum are students who live on campus. Students in residence don’t need to travel to and from school each day and ultimately have no use for a U-Pass. They can always take the bus around town but there are plenty of places close to campus that satisfy all of their needs. 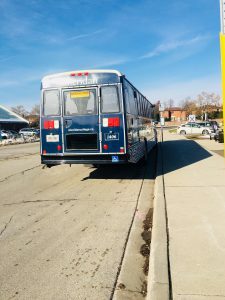 There is the free bus to the grocery store every Tuesday night, there are a variety of food options at each campus or within walking distance, and Square One mall is directly beside Hazel McCallion Campus. Having easy bus access is great, but the costs greatly outweigh the access the U-Pass provides. Those who pay for a parking pass each year are easily the most bombarded by the results of the vote. A two-semester parking pass at Sheridan is $495.50. Students buy the pass knowing that the cost is worth it. A full day of parking on campus is $12, and if students are on campus five days a week those costs really begins to add up. Having to then add on another $197.15 for a service that they will never use is outrageous. Whether there should have just been a change to the shuttle bus system or maybe even a different kind of bus pass that does not require a mandatory fee is a dilemma we students didn’t have an opportunity to voice our opinions on. The U-Pass has its perks, but only for part of the student population and those who are left covering the costs with no benefits have been let down by the SSU. The idea of a change to the bussing system is nice, but this version of the U-Pass should never have been put to a vote.